With a long-standing presence in Ireland of over 30 years and as a significant local employer with over 1,000 people in jobs across locations in Dublin and Wexford, Zurich has always prided itself on its commitment to making a difference in the local communities in which we operate, Elaine Hayes explains. One key focus for Zurich over the last couple of years, both amongst employees and in local communities, has been continuously driving a wellbeing agenda. The goals for our Wellbeing Matters programme are guided by the Zurich People Vision which states our ambition to create a culture where people 'show compassion and care and make a difference to those around them', and to create a workplace that 'brings out the best in everyone'. These are supported by the Zurich Commitment, a guiding principle that captures our commitment to our people and other stakeholders. With CSR becoming increasingly important, we not only demonstrate our compassion and care to our colleagues, but we firmly believe in resulting operational benefits. Whether this is achieved through awareness of an active lifestyle or stress management, each of our initiatives focuses on both our responsibilities as an employer and as a corporation. Our Wellbeing Matters programme is a holistic, people focused, employee wellbeing programme, incorporating fitness, nutrition, personal budgeting and mental health. It takes a three-pronged approach to supporting the wellbeing of employees, providing them with the knowledge, resources and opportunities to make positive changes in their lives, influencing their physical and mental health and wellbeing. The programme keeps the employee experience at its core and makes wellbeing engaging and fun while having a serious impact in bettering the lives of Zurich employees. We have made employee wellbeing into a way of working with effective wellbeing campaigns and by embedding wellbeing into Zurich's DNA to enable a truly compassionate environment; one that achieves business goals by helping people to be at their best. Through our work, we've become increasingly conscious of mental health. Although an increasingly prevalent issue in Ireland, mental health issues can be positively managed with the right support. Taking our internal learnings in the area, we partnered with IRUPA to establish Tackle Your Feelings. Tackle Your Feelings is a three-year all island mental wellbeing campaign which sees national and international rugby stars come forward to tell their own personal stories of the issues they have faced off the pitch. Tackle Your Feelings seeks to emphasise the importance of preventative measures in maintaining good mental wellbeing. By asking people to be honest with themselves about how they are feeling and to take appropriate action, the campaign aims to encourage people to resolve emotional challenges before they escalate into a crisis. The campaign website hosts a number of practical resources to help people develop their emotional self-awareness and proactively work on their mental and emotional wellbeing. Tackle Your Feelings allows us to reach a larger audience and make further inroads into breaking down stigma around mental wellbeing. In line with our commitment to employee wellbeing, Tackle Your Feelings has allowed us to find new ways to strengthen the mental health supports for employees across Ireland. Through its internal rollout, the campaign is being used to facilitate discussion around mental health, educating employees and driving positive change in their lives. 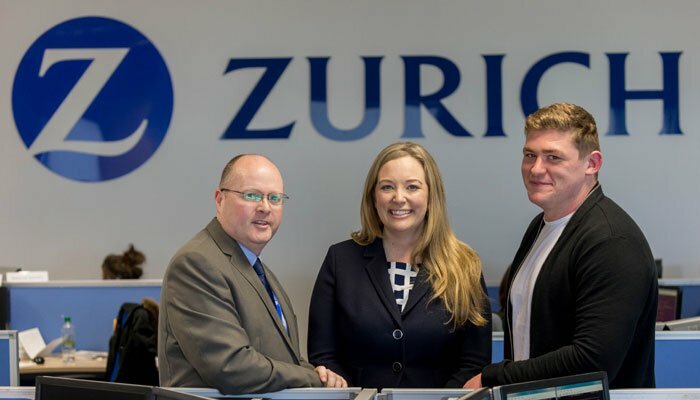 The benefits of the campaign not only extend to our employees and local communities here in Ireland, but also contribute to the performance of the Zurich business. Internally, wellbeing initiatives such as this see a direct impact on business performance drivers such as employee engagement levels. From an external perspective, investing in your employee wellbeing serves to enhance the company's employer brand, which is key to attracting and retaining the top talent. While we're only entering year two of Tackle Your Feelings, the campaign is already seeing a significant positive impact in Ireland. While it has helped to facilitate open narratives about mental health, the wider discussion has only begun. With a number of exciting new initiatives planned for 2017 and with sporting ambassadors regularly driving debate, Tackle Your Feelings is set to positively impact mental health in Ireland over the coming years. Zurich's wellbeing agenda will continue to drive positive change in local communities across Ireland. Find out more about Zurich's commitment to making a difference in the local communities here.